Every year, I check the Pantone Color Institute’s announcement of their anticipated color of the year. I find it’s a reflection of the collective vibe of the moment and an interesting source of inspiration for the year ahead. This year, I loved their color choice, but also their description, so I wanted to share it with you to see how it might inform your focus for 2018. This is exactly the power that you hold in your body, uniquely as a woman. From the fertile void of your imagination, like the fertile void of your womb, you can envision new realities and nurture them into existence. This is what I see women doing everywhere these days, using their power to fearlessly dive into uncharted territory, and reimagine the world with love and nurture that new vision into existence with persistent action. Pantone’s color choice is a connection to feminine energy that deserves high praise. Things are changing and I hope you feel it. It’s undeniable that in general, women have faced incredibly difficult circumstances, both in the public eye, and behind closed doors. But there’s been a major shift and there’s now light emerging from the darkness. I have been inspired and awestruck by the actions of brave women throughout history and this year found no shortage of examples of change agents in action and I wanted to share a few with you to embolden you to pursue your vision. We are reimagining power and our relationship with the patriarchy and not just asking for change, making change happen. I cried when I read this New York Time’s story on the unprecedented number of women who entered public office this year, and felt the deep healing of the #metoo movement, that brought air and light to a long festering wound. We are rising to pursue a new reality that will remake society for the better with love and compassion and community. Glennon Doyle Melton, with a simple social media push, organized countless women to raise hundreds of thousands of dollars to support a woman-created haven for mothers and children struggling with opioid addiction. And have you heard of Alyssa Carson, a 15-year-old girl who has been pursuing becoming an astronaut, colonizing Mars, and creating an alternate ecosystem for humanity since she was 3 years old? I have zero doubt that this incredible young woman, and so many other focused, passionate young women will change all of our lives for the better. These examples all share in common the path to change – a clear vision of what needs to be brought into existence and the dogged determination and effort to bring it forth from the void. In this context, Pantone’s choice of Ultra Violet is by no means accidental and speaks perfectly to the female led revolution happening now. 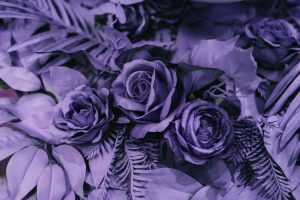 I chose purple for the FLO Living brand over a decade ago because of this symbolism and because I too saw a problem that needed solving and wanted to solve it using feminine energy. I can’t tell you what it feels like to see so much of what I’d originally envisioned 20 years ago when I was suffering from my hormones and found nothing to support me, finally come to fruition. 2017 was a big one, we launched MyFLO, Hormone Testing at Home, and the Hormone Balancing Biohacking Supplements. 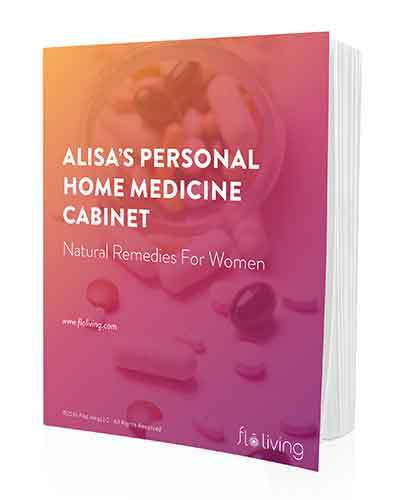 With these new products, I have made into reality the vision I have had since I was 22 – to build a platform where every woman could access the necessary tools to address her hormonal dysfunction outside the conventional medical system that has failed her repeatedly. This by no means suggests our work is done — we’ve got so much more coming for you in 2018! But I’m so proud that we’ve successfully managed to put the structure in place to help women all over the world resolve her endocrine issues naturally so that absolutely nothing could possibly hold a woman back from accessing the health and energy to tap into that purple creative energy we so desperately need to heal the planet right now. It’s the first week of a new year, and I know that the typical convention is to become consumed with self-improvement. But as you formulate your resolutions, I invite all of you to focus on finding an issue that stirs something in your heart. Something that takes you out of focusing on the ‘ME’ and instead on the ‘WE’. You contain within you all the energy of the Great Mother, and everywhere you look, there is enough to break your heart and ignite your soul into action, fueled by your particular vision and passion to do, to create, to effect real change. But in order to do that kind of monumental work for the world, you have to have the physical, psychological, and emotional well-being to rely on as your foundation. If your health is suffering and you need to regain balance, like I once did, in order to take on the things you’re passionate about, please, please take advantage of this site, these tools, this resource center that’s here for you. This is why I’ve dedicated my career to building this platform. I can see too from social media that we want something different for ourselves this year – you’re tired of making the typical resolutions around losing weight or getting clearer skin — those are awesome goals, but they’re so easy to attain and simple consequences of finding your FLO. And what I’m seeing from you online, is that you want deeper healing and wellbeing, pleasure not struggle, and community. And of course, if these are significant issues for you, sign up for one of the programs, book a consultation, order the supplements — you can and will realize those physical changes and you’ll do it fast. But once you’re back in balance and ready to join the revolution, envision something that’s greater than yourself and go for it — because we need you out in the world right now, and that’s why we do the work we do at FLO Living; to build a sisterhood of change agents to heal the planet. Thank you for being part of my community, for allowing us to take care of you, and for inspiring me everyday to keep working for my purple-hued vision of a world where women get the hormonal and menstrual health care they deserve. Happy New Year and to finding your FLO in 2018!